Uncompromisingly biting, playful and true. We have made it through half of the In SEAtu series—our satirical, celebratory take on four Seattle icons and the rich, complex stories behind Rain, Coffee, Salmon and Weed. 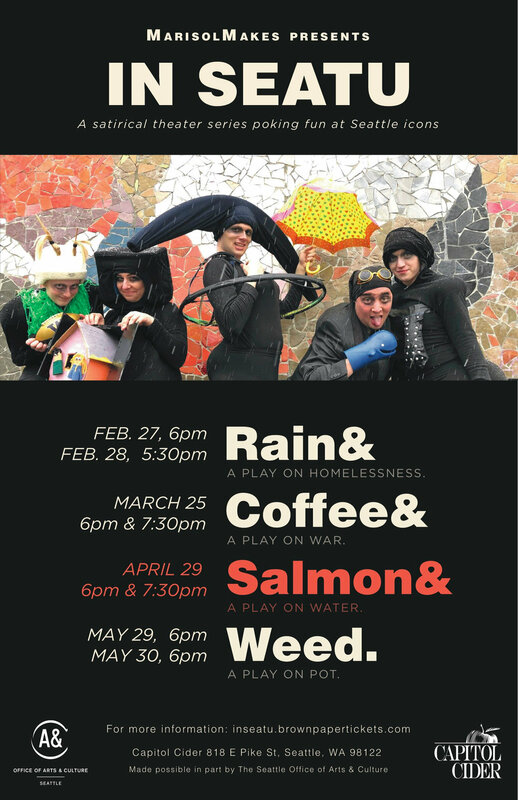 This month, we are deep into creation and rehearsal process for In SEAtu: SALMON, which will premiere at Capitol Cider on Monday, April 29 at 6pm and 7:30pm. The bouffons will take a look at the history of colonization, industrialization, and indigenous peoples’ water and fishing rights in the Pacific Northwest region and beyond. A tale of sacrifice and first foods, treaties made and broken, climate change and culverts, pipelines, protectors, and “Frankenfish.” Oh my! Come play, laugh, learn, weep, and walk away with a new understanding of our region’s most revered fish. Here at Home, my delightful solo red nose show, opens in Seattle TONIGHT at 7:30pm and runs tomorrow at 9:30pm and Saturday at 7:30pm as part of the SpringShot Festival at 18th and Union. Tickets are available here. I recently returned from an 8-day project with Clowns Without Borders, working with migrants from southern Mexico, Hondura, El Salvador, Guatemala, Haiti, Venezuela and Afghanistan who are stuck at the border in Tijuana. Read more about the project here. The bouffons have landed in Seattle to observe and mimic foibles of human behavior. Allergic to apathy, they challenge politeness, expose uncomfortable truths, and acknowledge the beauty and tragic histories of our beloved icons. Stupidity is infinite but seating for the show IS NOT! So go getcha tickets right here, right now! I am thrilled to be performing in Silver Kite Theater Company’s production of “Boxes,” a new work of theater devised by an intergenerational ensemble of performer-creators. Click here for more information about the show, the cast, and where you can catch us in action beginning in March 2019. 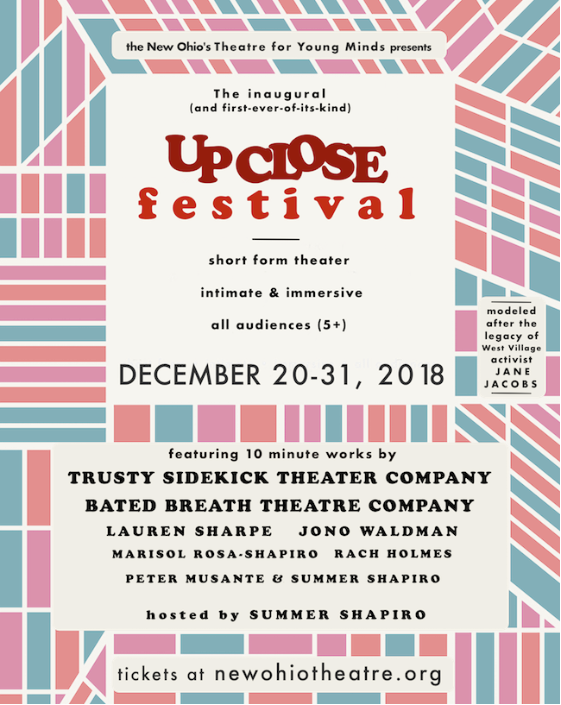 The Up Close Festival is a hit! If you missed Program A last week, never fear—our run at the New Ohio continues tomorrow, 12/27, with a program of new works for the family, and the return of Program A audience favorite, PIZZA RAT! Read on for glowing reviews from MotherhoodLater, NewYorkTheater, Hi! Drama, and blogger Libby Emmons. Then get your tickets here. I am thrilled to announce that I will be a Jim Rye Fellow at this year’s International Performing Arts for Youth conference in Philadelphia. The fellowship will support my attendance and mentorship at this vital gathering of artists, producers, presenters and leaders in the field of Theater for Young Audiences. Hooray! Read more about the Jim Rye Fellowship, and about my fellow Fellows, here. I am offering my first independently-produced workshop for adult performers in Seattle, next Sunday, December 9 from 3pm-6pm at Theater Puget Sound. In this workshop, we will explore the direct, playful, unabashed, satirical play of the bouffon--an omniscient demigod returned to earth to mimic and mock the foibles of human behavior. Born of the pedagogy of internationally-renowned French theater teacher Jacques Lecoq, the bouffon style of play releases the actor's inhibitions, by encouraging the performer to "puff" themselves beyond the bounds of naturalism and politeness, and to delve into subject matter away from which other creators might shy. The style is based on the Satyr plays of Ancient Greece, the Feast of Fools, and early Commedia dell'Arte. Over the course of our three hours together, we will explore mimicry and mockery, collaborative game creation, physical play, mime, mask work, musicality, and the beginnings of costume design. This survey will give the participants a sense of the style employed in the upcoming production of "In SEAtu: Rain & Coffee & Salmon & Weed," premiering in Seattle in early 2019. Tickets for this workshop are available on a sliding scale, from $15-$30. No one will be turned away for lack of funds. Reserve your spot here. This Saturday, Seattle actor, director and writer Jose Amador and I will play a series of characters in a sock puppet epic called The Sock of Love, written by my dear friend Erin Shafkind. The show will also be a kind of housewarming party for the home that Erin and her partner Will have rotated and reimagined. It promises to be a silly, playful, beautiful evening of storytelling, music and community. I’ll be in New York City for several weeks this winter and I’m excited to be a part of what promises to be a very special festival of intimate theater works for the whole family at The New Ohio Theatre in the West Village. Get your tickets here. I had such a wonderful experience with More Than Maria, that I jumped at the chance to play with Play Your Part, yet again! 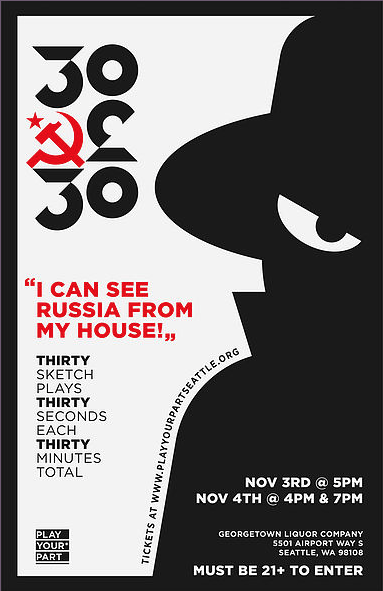 Come see us play silly Russian spies speaking in silly Russian accents. More information here. I’m thrilled that George and I will be at camp together again this summer—this time in beautiful Port Townsend, WA. Learn more about Centrum’s education programs, here. I’m jazzed to be a part of the HYPERCUT ensemble for Andrew Schneider’s AFTER at On the Boards, here in Seattle. More info here. I will make my Seattle acting debut in “More Than Maria,” an evening of several short plays produced as a fundraiser for survivors of Hurricane Maria in Puerto Rico. See Sean Airhart’s wonderful photos from this production here. Last weekend, I participated in Princeton University’s women alumnae conference, SheRoars, both as a performer and as a workshop facilitator. 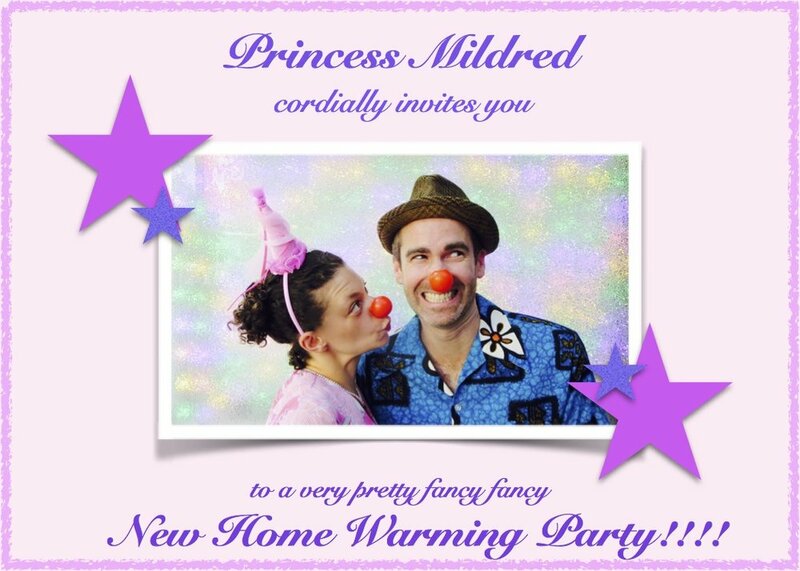 It was delightful to perform as my clown, Princess Mildred, for a receptive audience of alumnae, and to facilitate a workshop on Practicing Playfulness for forty wonderful, willing participants. What a treat!